The greatest portable adventure of rhythm and war is back with robust online support. Devastate your opponents with attacks as Superhero Patapon in the third iteration of the critically acclaimed rhythm-based action/ adventure. Play campaign with friends, go head-to-head or take on a clan of other Patapon gamers. Patapon 3 is yet another genre blending sequel that has yet to be replicated by any other title. 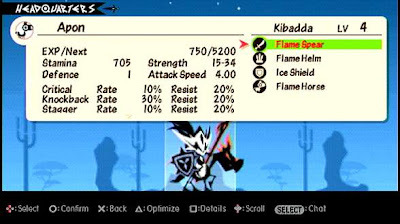 This game picks up directly where Patapon 2 left off bringing you more Patapons and tons of ways to customize them. 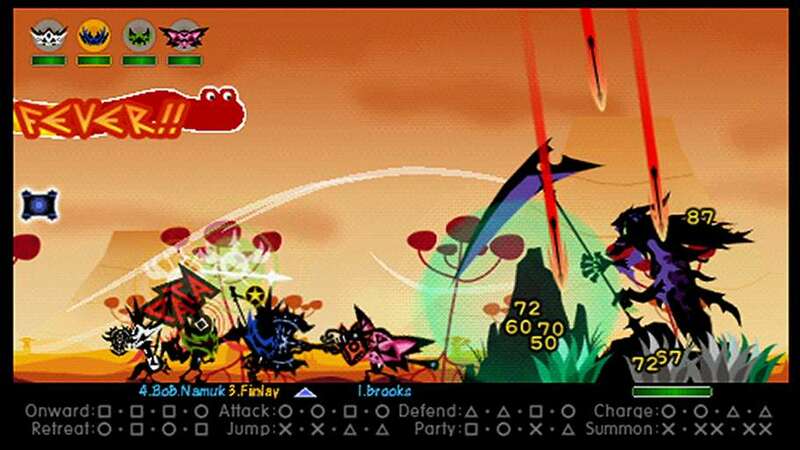 There is plenty of micromanaging to be done, and with the added Patapon Hero to the mix it makes for a great variety of play. The commands are similar to the original games but there is also a higher complexity making this title more challenging for those just starting with Patapon 3. Additionally there is plenty of loot and tons of hours to be spent beating the campaign and gearing up your Patapons. This game does however have its flaws which seem more noticeable than in previous titles. The addition of gear and hero characters also makes the game variably difficult at multiple points. You’ll often have to go back and level your Patapons to beat a stage, rather than have a clever strategy. There is also a backside to that issue where you will be overleveled and overgeared, which leads to simply plowing through a stage with no strategy at all. You add this to a difficult learning curve and it will chase newcomers away immediately. 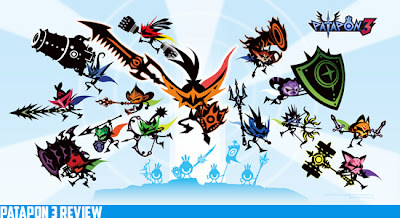 Simply put there are no other games that compete with the Patapon series; it lives on its own planet in the gaming universe. While there are more issues with this title than the others, they also added way more content so it should be expected. The price is cheap, a new copy hovers around $20 so that’s a smart way to get great quality for a solid price. My only real suggestion is to be patient, or go back and purchase the other Patapon games so you have an idea about how the game plays. If you are looking for a rhythm based RTS game, then this is pretty much your only option…but it’s a good one none the less.